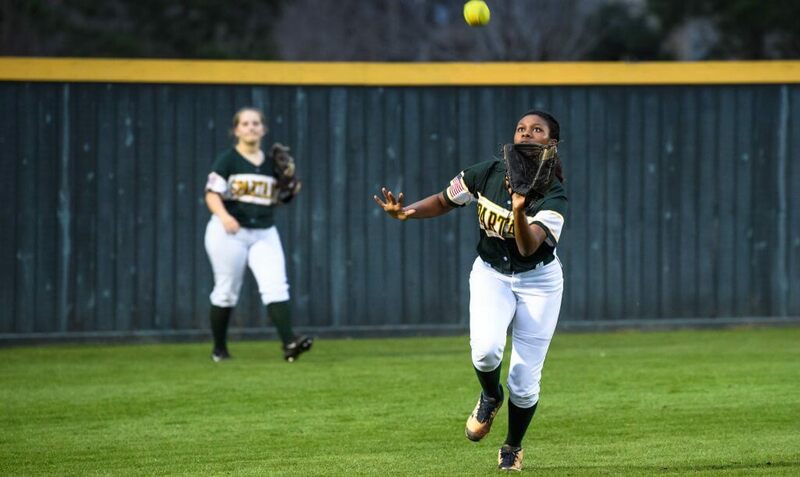 Saleyna is a four-sport athlete with legitimate track speed to get to almost any ball hit in the air to the outfield. Photo by Prudence Allwein. You know you’re doing something right when you have not just one, but two cool nicknames and that’s the case for Texas sophomore Saleyna Daniel who goes by “Silk” and the very appropriate “Home Run Robber” for her play in the outfield. 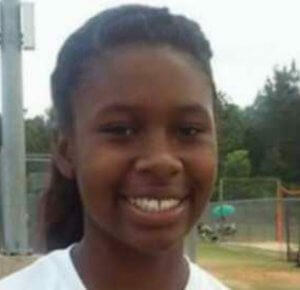 Saleyna, who made the 2021 Extra Elite 100, is a four-sport athlete, an accomplished musician and does well in the classroom with a 4.0 GPA (she wants to study aerophysics). It’s an honor to be in the top 100 with those who put in the work and effort because they love the game and know the work is never done. Looking back on your career so far, both club and high school, what’s been your favorite experience in softball? Placing 2nd at PGF Nationals. 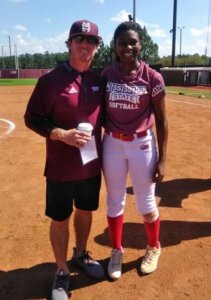 Saleyna with Mississippi State Assistant Coach Tyler Bratton. Reading the ball off of the bat, accurate throws and good footwork. Are there any things you are going to work on this year? Yes, remembering that you can get over any obstacle and also that it’s OK to be happy. I avoid walking on a chalk line. Mine would be to be happy and help other people by listening and being an inspiration to them.